You are currently browsing the tag archive for the ‘Ulrich Vette’ tag. 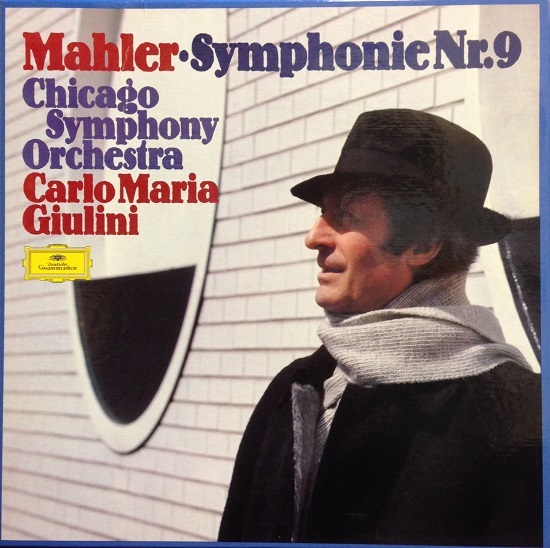 The Chicago Symphony Orchestra’s first performances of Mahler’s Ninth Symphony were given on April 6 and 7, 1950, in Orchestra Hall under the baton of guest conductor George Szell. Since then, the work has been led by music directors Rafael Kubelík, Sir Georg Solti, and Daniel Barenboim; principal conductor Bernard Haitink; principal guest conductors Carlo Maria Giulini and Pierre Boulez; and Ravinia Festival music directors James Levine and James Conlon; along with guest conductors Sir John Barbirolli, Lawrence Foster, Michiyoshi Inoue, Hans Rosbaud, and Michael Tilson Thomas. The Orchestra has recorded the work on three notable occasions, as follows. Deutsche Grammophon was on hand on April 5 and 6, 1976, to record the symphony in Medinah Temple. Günther Breest was the executive producer and Klaus Scheibe the recording engineer. The release won the 1977 Grammy Award for Best Classical Orchestral Performance from the National Academy of Recording Arts and Sciences. Eighth music director Sir Georg Solti first led the Orchestra in Mahler’s symphony at Orchestra Hall and Carnegie Hall in April 1981 before taking it on the road to Lucerne, Paris, Amsterdam, and London later that year. 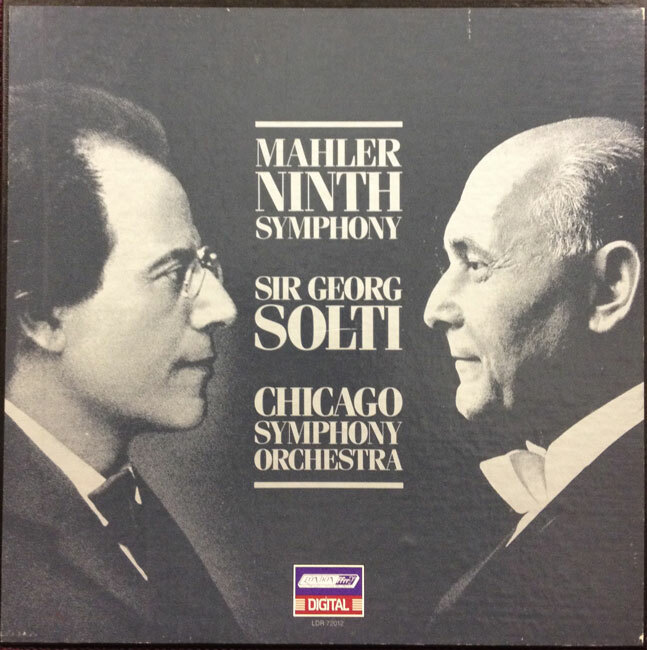 Back in Chicago, Solti led a concert performance (benefiting the musicians’ pension fund) on April 28, 1982, and recorded the symphony on May 2 and 4 in Orchestra Hall. Reviewing in Gramophone magazine, Richard Osborne noted: “When Solti conducted Mahler’s Ninth Symphony in London in the autumn of 1981 the critic of The Financial Times observed: ‘Solti obviously knew how this music should gobut not why.’ Such a reading would be an evident act of self-parody, for it is to this very theme—the modern world’s nightmarish preoccupation with sensation, spiraling, self-referring and impossible to assuage—that Mahler so fearlessly addresses himself in the symphony’s third movement, the Rondo Burleske. It’s clear, though, from the present recording, made in Orchestra Hall, Chicago in May 1982, that Solti’s sense of the music is a good deal more rooted than it appeared to be amid the unsettling razzmatazz of an end-of-tour London performance. James Mallinson produced the recording, and James Lock was the engineer for London Records. The recording won 1983 Grammy awards for Best Orchestral Recording, Best Engineered Recording—Classical, and Best Classical Album. Soon after being named as the Orchestra’s third principal guest conductor, Pierre Boulez was in Chicago to lead four performances of Mahler’s Ninth in November December 1995. For Deutsche Grammophon, the work was recorded at Medinah Temple on December 2 and 4, 1995. Roger Wright was the executive producer, Karl-August Naegler recording producer and editor, Ulrich Vette was the balance engineer, and Jobst Eberhardt and Stephan Flock were recording engineers. The release won the 1998 Grammy Award for Best Orchestral Performance. 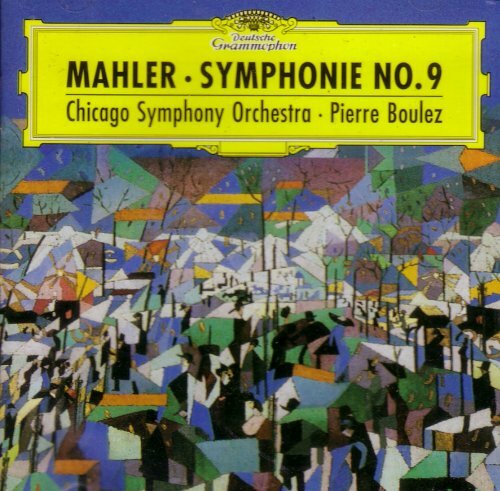 Esa-Pekka Salonen leads the Chicago Symphony Orchestra in Mahler’s Symphony no. 9 on May 17, 18, 19, and 22, 2018.